An often overlooked reason for making a last will and testament is there may be a need to maintain litigation on behalf of you–or your estate–after you are gone. A common example is a wrongful death lawsuit. This is a special type of personal injury claim where your personal representative may sue one or more parties for negligence in connection with your death. Of course, this assumes there is a personal representative in place. If you lack a will, or your designated personal representative fails to promptly open your estate after you pass away, it can adversely affect a potential wrongful death case. This is because there are certain legal deadlines that apply to civil lawsuits in Florida, so if your estate is delayed in getting itself properly constituted, the wrongful death claim may die with you. On August 24, 2018, the Florida First District Court of Appeal issued a decision, Shands Jacksonville Medical Center, Inc. v. Pusha, that illustrates what can go wrong when there is delay or confusion involving the appointment of a personal representative for an estate. Here is a brief summary of what happened in this case. The decedent passed away in October 2010 after undergoing heart valve replacement surgery at the defendant hospital. A few weeks later, a lawyer hired by either the decedent’s daughter or mother–the reason for this confusion will be explained in a moment–hired a personal injury attorney to pursue a potential wrongful death claim against the hospital. The attorney sent a letter to the defendant requesting copies of the decedent’s medical records. This request for information is important because of how Florida law governs medical malpractice claims. Before you can sue a healthcare provider, the plaintiff must first obtain an affidavit from an expert witness–i.e., another healthcare provider–explaining how the defendant’s actions deviated from the accepted standard of care. To do this, obviously, the expert needs to see the victim’s medical records. In the letter, the attorney identified the decedent’s mother as his client and as the “personal representative” of the decedent’s estate. However, the authorization form attached to the letter identified the decedent’s daughter as personal representative. At the time, however, neither the daughter nor the mother had actually been appointed as personal representative. In fact, according to court records no estate was opened until October 2012, two years after the decedent’s passing. The defendant refused to disclose the decedent’s medical records without “verification” that either the mother or daughter was legally authorized to obtain said records. The estate proceeded to sue the hospital anyways, arguing it had no right to request such verification and therefore “waived” its right to demand an expert affidavit. The First District ruled in favor of the defendant. It held that under state and federal medical privacy laws, a deceased patient’s medical records could only be disclosed to a lawfully appointed personal representative–and the defendant, as the custodian of such records, had every right to demand verification. Since the estate failed to provide such verification, or the expert affidavit, in a timely manner, the appeals court was forced to dismiss the underlying wrongful death lawsuit. 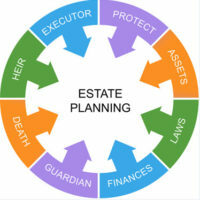 Proper estate planning is not just about distributing your property. It is also about ensuring there is someone in place with the legal authority to act in your name when you are no longer around. If you need advice or assistance in making a will, call the Fort Myers estate planning attorneys at the Kuhn Law Firm, P.A., today at 239-333-4529.